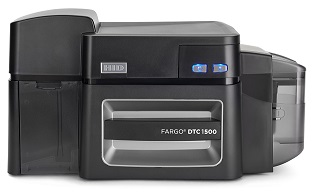 The FARGO® DTC1500 card printer and encoder offers the convenience and lower cost of high-capacity consumables along with a comprehensive feature set – enabling organizations to routinely issue highly secure cards and IDs at a fraction of the cost without sacrificing quality. Designed for government ID projects, universities and colleges, K-12 schools, healthcare facilities, and small-to-medium businesses, the DTC1500 boasts of distinctive security features ideal for these organizations. 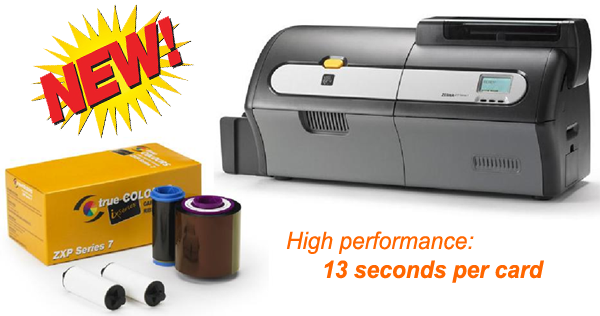 The DTC1500 comes standard with easy to implement security features like the resin data scramble and the ability to apply a custom watermark overlay. 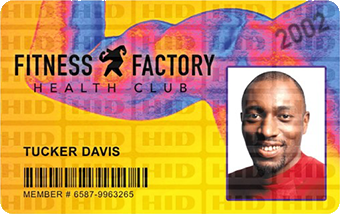 This allows for the application of a customised transparent security image such as a logo, symbol, or text to be integrated as a permanent watermark within the printed card’s overlay panel making duplication virtually impossible. The DTC1500 custom watermark provides organisations with a cost-efficient way to significantly increase card security and prevent possible counterfeiters without additional investment in holographic overlaminates or foils. The modular design of the DTC1500, allows you to add field upgradable units at any time after the initial purchase. Modules such as dual side flippers, RFID Encoders and the lamination unit provide extra protection or holographic film to the top of your card. Unicard back each of our Direct-to-Card Printer/Encoders with a global 3-year warranty. Trusted, dependable and based on 20 years of direct-to-card expertise, the DTC1500 combines proven reliability with advanced technology features. As the recognized industry leader in quality, HID Global is committed to customer satisfaction excellence.